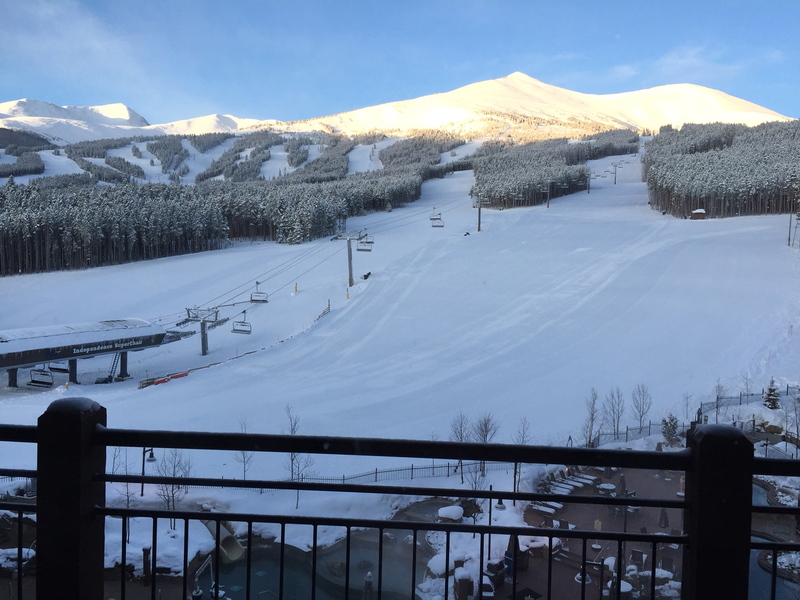 Are Your #Breckenridge #Skiing Plans Locked in for the 2015-2016 season? Have you booked your Breckenridge Luxury Condo? Yes, the photo above is a stunning slopeside view from a Breckenridge luxury condo right after the fresh powder covered the Breckenridge mountains overnight. And, right NOW is absolutely the time to lock in your ski in, ski out luxury condo in Breckenridge for the 2015-2016 ski season to get the views you want, during the peak ski season. The better news is that there is an easier way to get your ski plans in order, locking in your ski in, ski out luxury condo in Breckenridge once for all and using a smarter financial strategy than throwing away your vacation budget on the high room or condo rates during ski season. Ever heard of fractional real estate? It is the strategic way to maximize both your vacations and your financial planning. It is not the same as a time share. Fractional real estate includes a deed and a mortgage, meaning that your financial advisor or tax planner can help you maximize potential tax benefits from purchasing luxury fractional real estate at a fraction of the rate of whole home purchasing. You only purchase the deed for the time you will actually use, and you also don’t have to worry about the upkeep of a second home. And… should you decide you want to go to the Caribbean instead of skiing one year, no problem – the ski in, ski out luxury fractional real estate in Breckenridge is very valuable real estate and can be traded online through Interval International for another luxurious, exclusive property on an exotic island. CLICK HERE for more information on the exceptional benefits of fractional real estate. The real estate in Summit County, Colorado is expensive, and certainly retains and often increases its value. As an owner of luxury fractional real estate, you benefit from the high value of the Breckenridge real estate market, and your vacation becomes an asset instead of an expense. Smart luxury fractional real estate owners also have turned their Breckenridge luxury condos into a revenue stream, taking advantage of the high demand for ski in, ski out luxury condos during peak ski season. There are numerous benefits to owning luxury fractional real estate, so get more information HERE. And, if you want to lock in your 2015-2016 ski season luxury accommodations, and would like specific information on the luxury fractional real estate available right now in Breckenridge, Colorado, fill out the form below and an fractional real estate information kit will be sent to you. This entry was posted on July 25, 2015 by elevatemarketingaz. It was filed under Fractional Ownership Real Estate Summit County Colorado, Fractional Ownership Real Estate Summit County, Co, Fractional Real Estate Breckenridge, Luxury Fractional Real Estate, Luxury Fractional Real Estate Breckenridge CO, Luxury Fractional Real Estate Breckenridge Colorado, Luxury Fractional Real Estate Summit County, Colorado, Ski In, Ski Out Luxury Condo Breckenridge Co, Ski In, Ski Out Luxury Condo Breckenridge Colorado, Ski In, Ski Out Luxury Condo Summit County, Colorado, Summit County Colorado Real Estate, Summit County Real Estate and was tagged with Breckenridge Colorado, Breckenridge Colorado accomodations, Breckenridge Colorado condos, Breckenridge Colorado skiing, Breckenridge luxury condo sales, ski_in_ski_out Breckenridge condo, Summit County Real Estate.